Welcome to our Technique Blog Hop! This month there are ... of us highlighting embossing. If you are coming from Katy’s Blog, you are on the right track! There are two types of embossing in the craft world- dry embossing where you use an embossing folder and run your cardstock through a machine such as a Cuttlebug, and heat embossing where you heat a fine powder over an inked image to create a glitter/shine effect. My card today uses both forms of embossing. I dry embosed the Emerald cardstock using the Swiss Dots embossing folder, and then stamped the sentiment with Versamark ink and sprinkled Gold Embossing Powder on the top. I also added a strip of gold foil. Thanks for stopping by! Please continue onto Terry’s Blog where you will find some additional artwork highlighting this technique! Be sure to leave a comment and let me know what you thought of my variation and happy hopping! How simple and so beautiful! I love it! 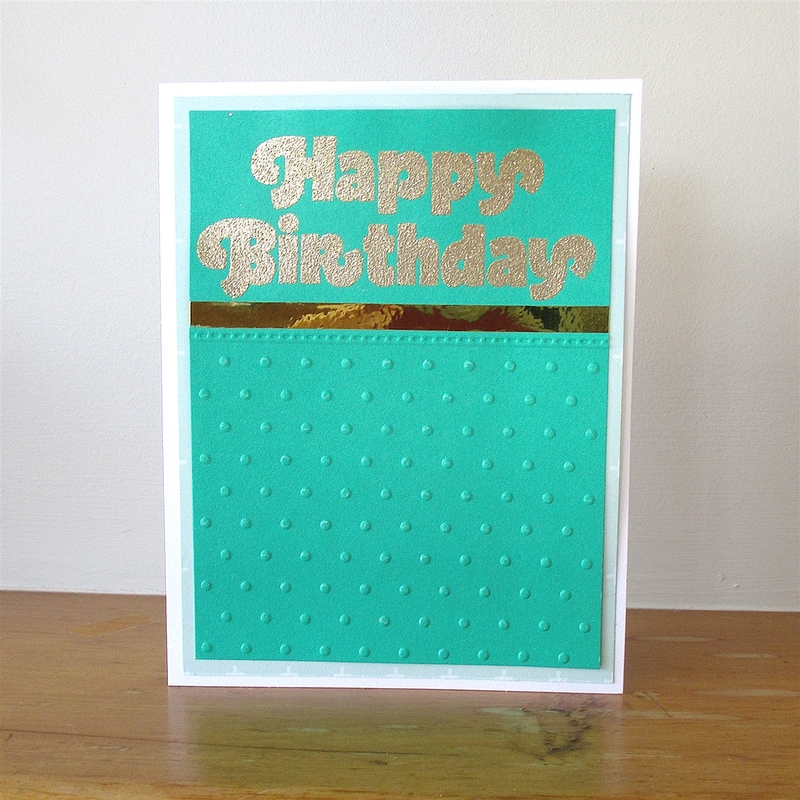 Love the bold gold Happy Birthday!